Looking for a step by step process to prepare for EMC testing? Look no further - in this chapter we delve into the process for EMC test preparation. This beginner's guide to EMC testing is an in-depth tutorial on all aspects of EMC testing. 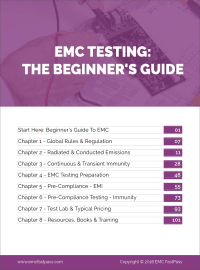 This guide covers the fundamentals of everything you need to know to be able to navigate, prepare and pass EMC testing. Where Does EMC Testing Preparation Fit Into Your Schedule? This diagram is just a different way to visualize the information already covered in this chapter of the guide. You can see how each step of EMC preparation fits into your overall product design cycle and when you should be thinking about each step. You can see a basic process flow for EMC testing preparation in the right hand sidebar. In this section, we're going to walk through several important steps in the lead up to EMC testing. Just ask your test lab for an EMC test plan for your product. They will request details about your product on things like: power supply, signal/control ports, what is the application and things like that. With this information, they will be able to draw up a test plan which itemizes the standards, tests and levels for each port. If you've been through this process before with a similar product, the chances are that you know what standards are applicable and what each test is. 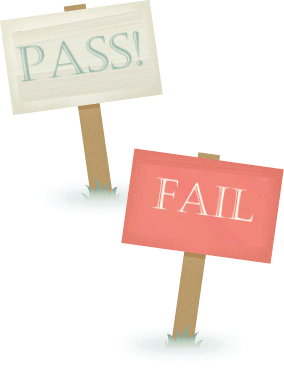 In many cases, you may just be able to copy and past the test plan from a previous test report. If you don't have that luxury, you'll need to find the standards that apply to your product, then analyze the emissions and immunity tests that the standards call out. Refer to the previous chapter for help with working out which standards apply and check out the in-depth webinar on how to put together your own test plan (and some other cool stuff). Unfortunately design for EMC compliance is a huge subject. 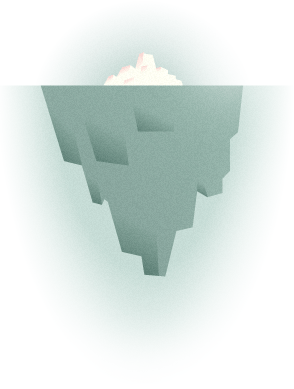 It's tempting to look for simple 'EMC design rules' and quick fixes, but ultimately this is just the tip of the iceberg. That's probably why the first time pass rate is so low, but fortunately that gives engineers and manufacturers who spend time to learn about the subject a distinct advantage over those who don't. 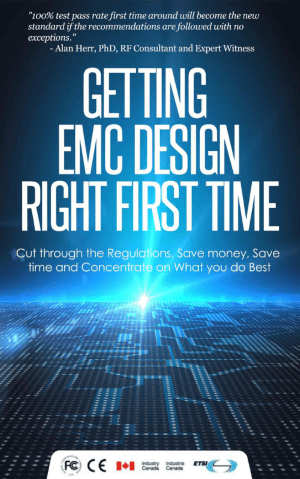 Now that you've nailed down the EMC tests and requirements that you have to pass, you now need to design your product in a way that's going to meet those requirements. Have you used the correct rating of power supply adapter? Do you need to pass class A or B emissions? Is your ESD protection implemented correctly? Will surge testing be applied to your power supply? Do you have the correct immunity protection components in place? There are loads of textbooks on the subject of PCB design for compliance and most of them are big enough to choke a donkey. 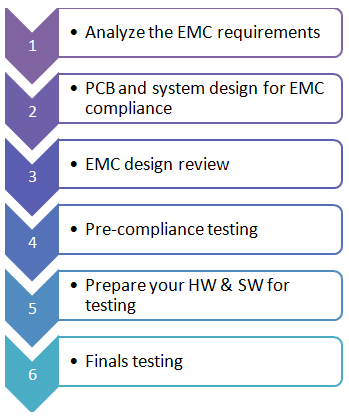 EMC design for compliance is a vast subject because it covers so many aspects of electronic engineering. If you want to master this discipline, it's going to take lots of learning, covering subjects including power supply design, power network analysis, decoupling, high speed design and signal integrity to name a few aspects. I worked with several experts over a period of 6 months to create the most in-depth online course on EMC design for compliance currently available. If you're interested in mastering this subject, here is the course: EMC design for compliance (Emissions). At this point, you're just about to get the first or second prototype of your product manufactured. Before you press the big green 'GO' button on the manufacturing run, it's a great idea to do an EMC design review. In exactly the same way that you and your team would do a PCB and schematic design review to catch hidden errors in your design, an EMC design review helps to do the same thing from an EMC perspective. Companies like Ford and Jaguar have implemented design review procedures to help them pass first time. IBM even created a design review which according to their own reports, reduced the number of PCB iterations by 1 or 2 and got them to a place where they were consistently passing EMC testing first time around. EMC FastPass has also created and refined a design review procedure with over 150 checks. You can read more about how we do EMC design reviews here. When your design is close to being finalized, it's prudent to do some EMC pre-compliance testing. Because emissions and immunity performance is very dependent on the way in which you've designed your product, for pre-compliance testing results to be indicative of how the final testing will go, it's important that your device doesn't change much between pre-compliance testing and finals testing. There are lots of options for emissions and immunity pre-compliance options available. We'll be digging into those options in the upcoming chapters, but you can also check out the emissions pre-compliance guide from EMC FastPass which highlights some of the most popular options. The "In-House EMC Testing Equipment Guide" also covers a good overview of immunity pre-compliance test equipment. If your pre-compliance testing is accurate and comprehensive enough then you're going to have addressed the majority of EMC emissions and immunity issues before you get to final testing. In the following chapters I'll be digging into what makes pre-compliance test equipment accurate and what the cost vs performance trade offs are. One of the best ways to lose 1-2 weeks time to market is to forget to send some items that are crucial for EMC final testing. Include any auxiliary/optional equipment that may be needed for testing. e.g. if your device has a USB port, provide a USB peripheral that would typically be used for that port. If you don't ship a device with a USB peripheral, provide a 'typical' unit. Make sure that unit is compliant so that it doesn't cause you to fail a test. If it isn't possible to provide functional auxiliary equipment for a particular port, often dummy loads are acceptable. When you can't provide auxiliary equipment, provide a dummy load that exercises a port to its fullest extent. E.g. Load a power supply output port with a load resistor with a value that ensures the highest rated current draw from the power supply. Provide all cables that are needed to exercise your equipment to the fullest extent. Cables should be of a typical length used in normal operation. 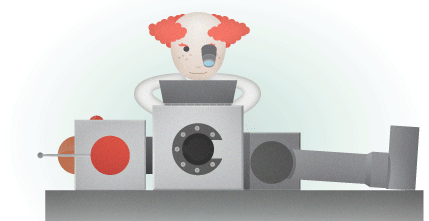 Provide a firmware/software test mode that exercises your equipment to the fullest extent. Regulatory agencies want to know what 'worst case scenario' emissions and immunity performance is. This usually involves exercising all moving parts, all communication interfaces and all memory interfaces at the highest speed. Provide 2 or 3 alternative 'backup' power supply units. This can be useful if you fail conducted emissions testing. Swapping out an external power adapter with a better performing adapter can often cure conducted emissions problems. More adapters can also be useful if you're doing surge testing, which can be destructive to power supplies. Supply proper documentation for the test engineers. If they don't know how to operate your product or set it up into the correct test mode, then the test schedule will be delayed. Supply a monitoring method. For immunity testing, a lab needs to monitor the performance of your product. It is helpful for EMC test labs if you clearly define the method by which you would like your product to be monitored. If the test lab has all of the equipment, all of the cabling and auxiliary equipment as well as firmware that fully exercises your product, then the EMC test schedule is likely to go a lot more smoothly, and thus you'll avoid delays. When you've got your final production units in your hands, it's time for final testing. This is where an EMC test lab will put your product through the full range of tests outlined earlier in the EMC test plan. Hopefully based on your diligent EMC design review and EMC pre-compliance testing, there are no surprises when it comes to final testing! In this chapter we covered how to prepare for EMC testing. I hope that this step by step process can help to guide you through the EMC minefield!